New members are always welcome and you can join at any time of year as a riding or non-riding member. Pony Club membership forms can be downloaded from www.pcuk.org Please return the completed form, with payment, to BHSPC membership secretary – don’t forget to fill out the Gift-aid section. 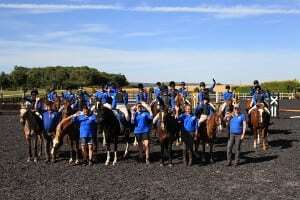 As a branch within Pony Club Area 9, Berkeley Hunt South is a friendly and fun loving branch. There are lots of opportunities for members to get involved (have a look on our programme page to get an idea of the sort of things we get up to). The more you get involved the more you will get out of your Pony Club, so sign up for rallies and encourage your parents to volunteer to help with anything from baking a cake to helping at our summer show. Volunteers always welcome! We hold three camps a year, two are non-residential and one is a fabulous residential camp at Stockland Lovell. Becoming a Pony Club Member also gives you Public Liability Insurance cover. Please read the Pony Club Key Facts document which provides a summary of cover, available on the main PC website – Parents information/Members Insurance section. You can join at anytime throughout the year. The Berkeley Hunt South is a Branch or Area of The Pony Club.